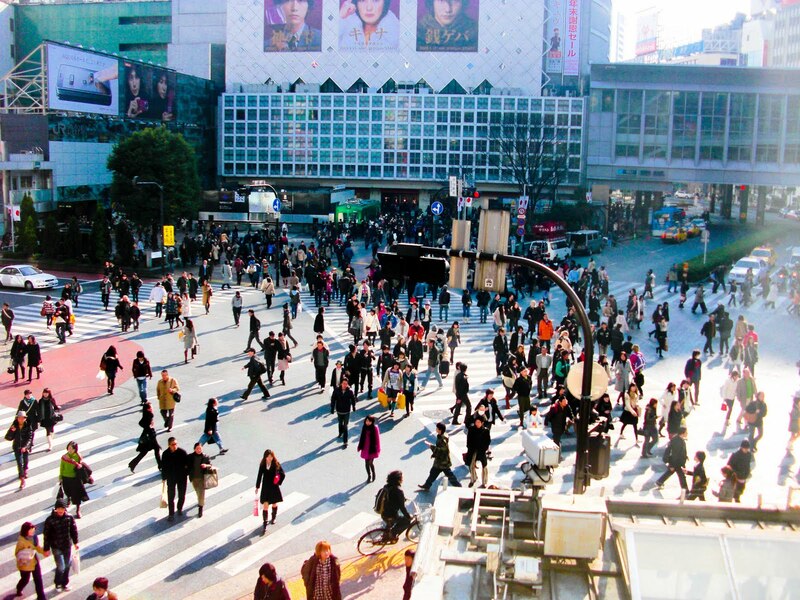 The busiest street crossing in the world. 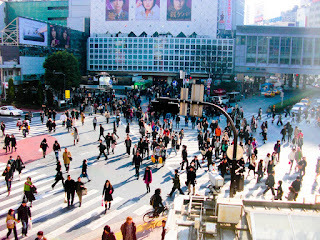 Shibuya Crossing is the busiest street cross walk in all of the world. Here in this picture is taken during the early afternoon, but at night under all the flashy lights, it's a battle field to cross.